10-60 micron svo það blandast vel við það sem þú vilt lita. Pigment powder er það sem framleiðendur nota í málningu – þessir litir eru mattir – sem sagt ekki glitrandi eins og Mica Powder. Þetta eru nöfn sem þú kannast sjálfsagt við eins og ultramarine blue, cadmium red, yellow ochre, og titanium white. Fyrir sápur – Usage Instructions: Start with about 0.25 teaspoon per pound of scrub, bath bombs, etc. For melt and pour soap, mix 1 teaspoon with 1 tablespoon of 99 percent isopropyl alcohol. Add 0.5 tsp. of dispersed mica at a time to the melted soap. For cold process, mix 1 teaspoon with 1 tablespoon of lightweight oil. Add 1 tsp. of dispersed mica at a time to the melted soap. 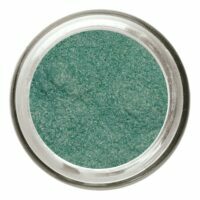 Pigments / Litarefni Chameleon – Cyan/Blue/Violet/Red 2.200 kr. Pigments / Litarefni Chameleon – Cyan/Blue/Violet/Red 20 gr 2.200 kr. Pigments / Litarefni Diamond Series – Starlight White 20 gr. 1.590 kr. 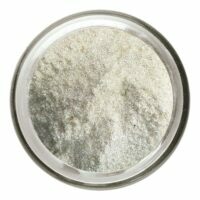 Pigments / Litarefni Diamond White 20 gr. 1.590 kr. Pigments / Litarefni Flake – Black Widow 25 gr 1.590 kr. 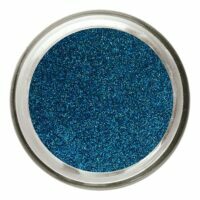 Pigments / Litarefni Glitter – Turquoise 20 gr 1.450 kr. 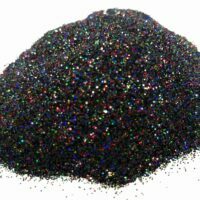 Pigments / Litarefni Glitter Black 20 gr 1.450 kr. Pigments / Litarefni Litarefni – Dark Blue 20 gr. 1.450 kr. 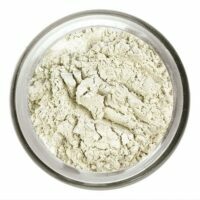 Pigments / Litarefni Litarefni – Dark Green 20 gr. 1.450 kr. 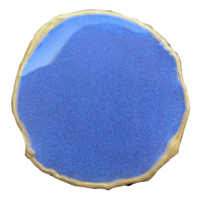 Pigments / Litarefni Litarefni – Diamond Blue 20 gr. 1.590 kr. Pigments / Litarefni Litarefni – Magic Red 20 gr. 1.450 kr. Pigments / Litarefni Litarefni – Magic Yellow 20 gr. 1.450 kr. 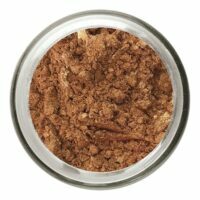 Pigments / Litarefni Litarefni – Mica Iron – Red Bronze 20 gr. 1.195 kr. Pigments / Litarefni Litarefni – Mica Iron Bronze 20 gr. 1.195 kr. Pigments / Litarefni Litarefni – Neon – Magenta 20 gr. 1.450 kr. Neon Pink – Magenta Neon colours will make your paintings Shout! They give off an ultra bright candescence making you projects really glow and stand out. You can also use these in soap making and nail polishes and almost unlimited applications or uses. Pigments / Litarefni Litarefni – Neon Blue 20 gr. 1.450 kr. Neon colours will make your paintings Shout! They give off an ultra bright candescence making you projects really glow and stand out. You can also use these in soap making and nail polishes and almost unlimited applications or uses. Pigments / Litarefni Litarefni – Neon Green 20 gr 1.450 kr. Neon Green Neon colours will make your paintings Shout! They give off an ultra bright candescence making you projects really glow and stand out. You can also use these in soap making and nail polishes and almost unlimited applications or uses. Pigments / Litarefni Litarefni – Neon Orange 20 gr. 1.450 kr. Neon Orange Neon colours will make your paintings Shout! They give off an ultra bright candescence making you projects really glow and stand out. You can also use these in soap making and nail polishes and almost unlimited applications or uses. Pigments / Litarefni Litarefni – Pearl Diamond White 20 gr 1.590 kr. Pigments / Litarefni Litarefni – Pink Violet 20 gr 1.490 kr. Pigments / Litarefni Litarefni – Rose Red 20 gr 1.450 kr. Pigments / Litarefni Litarefni – Shimmer Pearl 20 gr. 1.195 kr. Pigments / Litarefni Litarefni – Silk Violet 20 gr 1.450 kr. Pigments / Litarefni Litarefni – Silver White Pearl 20 gr. 1.195 kr. Pigments / Litarefni Litarefni – Solid Color – Blue 20 gr. 1.195 kr. Pigments / Litarefni Litarefni – Solid Color – Orange Yellow 20 gr. 1.195 kr. Pigments / Litarefni Litarefni – Solid Color – Rose Red 20 gr. 1.195 kr. Pigments / Litarefni Litarefni – Solid Color – Violet 20 gr. 1.195 kr. Pigments / Litarefni Litarefni – Solid Color – Yellow 20 gr. 1.195 kr. Pigments / Litarefni Litarefni – Super Flash Green 20 gr. 1.450 kr. Litarefni – Super Flash Green 20 gr.